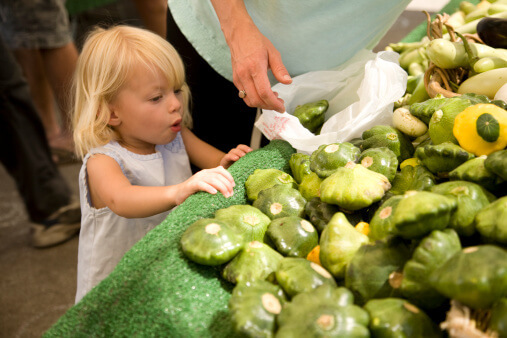 Like many parents, you may want to buy organic foods for your children, but feel it’s just too expensive. One way you can shop to make a very real difference is to buy the organic version of products that carry the highest chemical load when “grown conventionally” or as I like to say, “grown chemically”. On my personal high-priority list for organically grown foods are meat and dairy products followed by fruits and vegetables. Have you ever wondered which fruits and vegetables will make the biggest difference? The Environmental Working Group has created a tool they call the Shopper’s Guide, that you can use when shopping. It’s a convenient wallet-size guide that you can download from both www.foodnews.org. The guide lists the 12 produce items that are consistently most- and least-contaminated with pesticides. Even if you only select the most contaminated foods for your organic shopping you’ll be making a big difference for your kids’ health. EWG analyzed over 100,000 of the latest government reports on pesticide levels to determine which fruits and vegetables have the highest levels. What about washing and peeling? Washing produce is wise, whether or not it is organic. However, washing will not solve the pesticide problem, even though it will reduce exposures. The USDA data analyzed by the EWG is for pesticide residues found after washing (as for apples) or peeling (as for bananas). For years, shoppers have been able to look at labels to choose foods that contain less fat, cholesterol or artificial additives. But pesticides don’t appear on labels (except for the lack of pesticides found in certified organic products). With the Shopper’s Guide, people concerned about pesticides can make practical and delicious choices to reduce the amount of pesticides they eat.